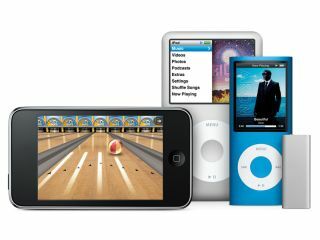 Will this iPod family shot soon need updating? It looks like Apple could be planning another of its keynote events for 9 September, with analysts predicting that this could see the company refreshing its iPod line and iTunes software. All Things Digital is speculating that this event will take place on 9 September, though this has yet to be confirmed. A new line of iPods would come as no great surprise, and there have already been suggestions that the new version of iTunes will contain some kind of integration with social networking sites. Although rumours that Apple is working on a tablet computer continue to circulate, it seems unlikely that this will be launched as early as next month. If 9 September is named as the date, though, there will inevitably be speculation that Apple is to announce that it's finally bringing The Beatles' back catalogue into the iTunes Music Store. This is the day that the band's remastered albums will go on sale, so it seems a plausible moment for them to go online, too.